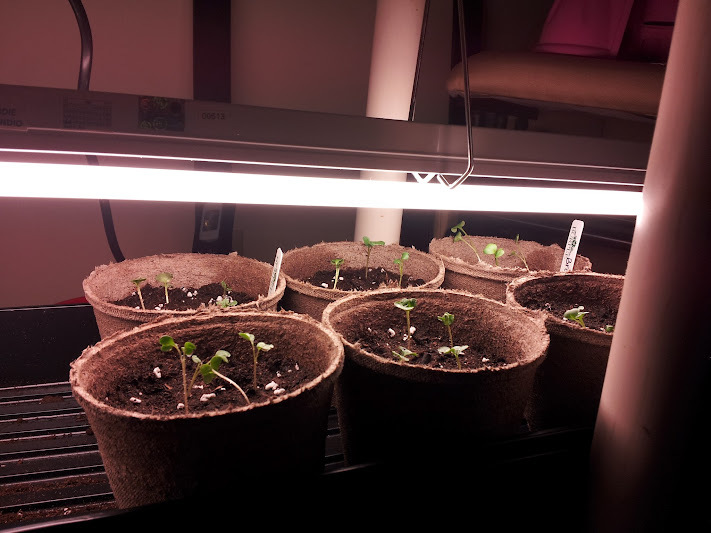 My question, should i transplant my broccoli sprouts to a deeper container or let them go? background below. 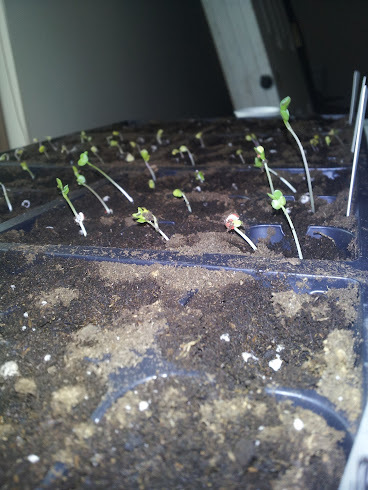 So i started my broccoli seeds and they grew which was very exciting for the wife and I. However very quickly it appeared to me we had an issue and several internet searches found that my sprouts were 'leggy'... Tall (1"-1.5" tall) with white stems. Through research I diagnosed an issue with light and thus bought a grow light from my local nursery. 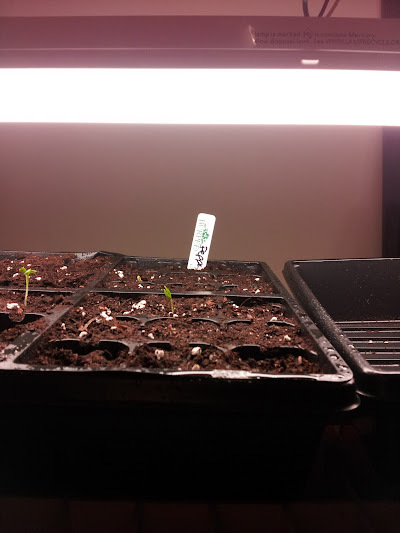 So i have my light setup and my sprout stems are turning more green with it only being the end of day 2. Again the question is should i let things continue as is and it appears they are getting more "plump" or put them in deeper soil. One to 1.5 inches is not THAT tall. I would just let them grow, but plant them a little deeper when transplanting to larger pots or when placing them in the ground. Also, be sure to place the plants within about two inches of the light source, so that they do not continue to stretch toward the light. No amount of artificial light will be anywhere close to the intensity of sunlight. Also light intensity drops off to the square of the distance. This means that the light gets weak very quickly with a relatively small increase in distance. Appreciate the response sir. Will rig my light appropriately per your recommendation as its a clamp so i will need to do some engineering but not impossible. Thank you again. Welcome to the forum Bob. How about a picture of your layout. 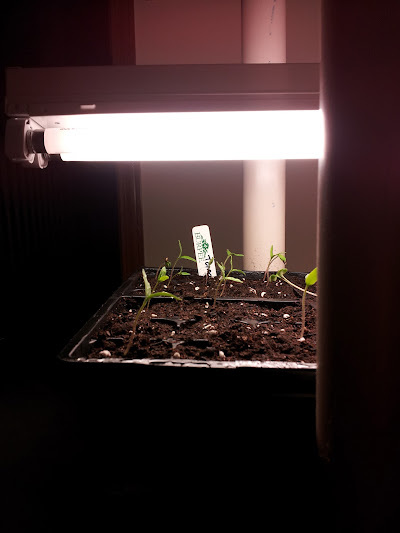 I'm a little worried about a clamp on light, unless you are starting a very small amount of seedlings. Now there is still some white but friday things were far worse as you can see below. I think you should lift them and plant them deep into 4" pots. Two to four per pot. I plant three or four per pot for customers. Most people will tell you not to up pot them deep, "the stems will not grow any roots". This maybe true, but I'm look for stability not root growth. A leggy seedling will have a hard time supporting the true leaves / plant and topple over. Sorry it took me so long, i got sent to the ER cause of some local crud going around with tonsillitis. Forgot to mention those are t5 bulbs. Looks like you solved your problem. Those seedlings appear to be quite healthy and should grow well now. Is broccoli a difficult or fussy plant to grow? I had similar issues with mine being leggy. Apple Tree with Severe Bend - Can it Be Fixed?